How do I view all the superannuation contributions I have made on behalf of my employees via Cashbook's SuperStream? 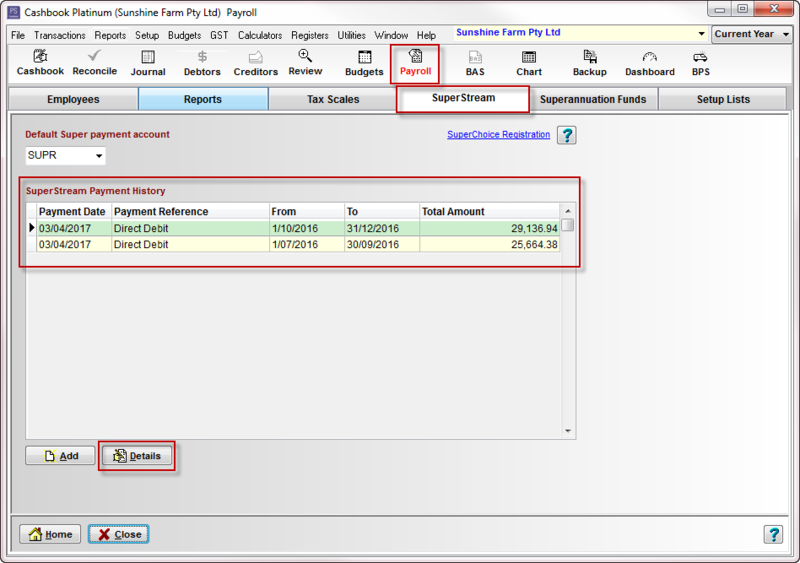 Click on the Payroll toolbar option. Click on the SuperStream tab. The SuperStream Payment History box lists all superannuation contribution payments you (the employer) have made on behalf of your employees. This shows the Payment Date, Payment Reference, the payment date range i.e. payment start date and payment end date, and the Total Amount of the payment. You can double-click on any record, or select a record and click on the Details button, to view the breakdown of that record.